Text Â© Shane O’Toole. Exterior photos and plan variously Â© Mairie de Roquebrune and Renaud Barrès/Mairie de Roquebrune. 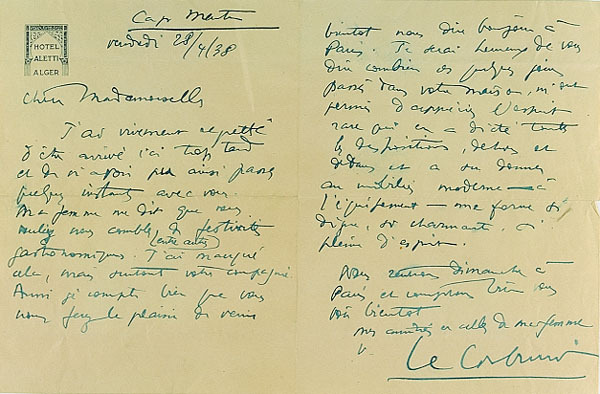 Photos of furniture and Le Corbusier letter Â© National Museum of Ireland. 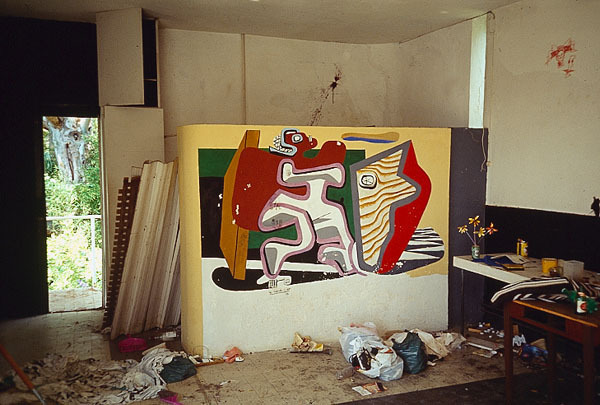 Photos of vandalised interior and Le Corbusier murals Â© Daniel Ryan. Fuller version of the piece first published in The Sunday Times, March 17, 2002, as “Gray’s elegy in France” to coincide with the opening of the permanent exhibition, Eileen Gray 1878-1976, at the National Museum of Decorative Arts and History, Dublin. Postscript: March 2005. In 1907 Gray – the only Irish person wholly immersed in the pioneering work of the modern movement – moved to Paris, taking an apartment at 21 rue Bonaparte, which she maintained until her death on October 31, 1976, at the age of 98. The furniture from her Paris apartment, recently acquired by the state, forms the centrepiece of the Eileen Gray exhibition at the National Museum, Collins Barracks, which opens to the public on Friday. In 1925, the pair began to explore the area around Saint-Tropez, seeking an appropriate site on which to build a summer refuge for Badovici. She subsequently discovered an isolated plot – inaccessible by car, but within walking distance of both a railway station and a sandy beach – along a rocky stretch of coastline. Gray bought the site and spent three years in Roquebrune, taking prime responsibility for both design and construction, while Badovici visited frequently to assist in technical matters. The name of the villa, E-1027, is a cipher for the architects’ intertwined initials: following the E, the numbers 10, 2 and 7 represent the alphabetical order of the letters J, B and G, respectively. Gray declared: “This house has been built for a person who likes work, sports and receiving friends.” E-1027 looks much bigger than it is. It has two bedrooms, a maid’s room, utility rooms and a large space, partitioned with screen furniture, that could serve as a living room, dining area, cloakroom or guest room. The main living area overlooks Monte Carlo harbour and the bedrooms face the rising sun. Service spaces are isolated: the kitchen, adjoining an outdoor cooking space, is separate from the rest of the house. Gray felt that each room should remain independent of the others, arguing that “everyone, even in a house of restricted dimensions, must be able to remain free and independent. They must have the impression of being alone, and if desired, entirely alone.” Each room has a balcony and access to the garden. 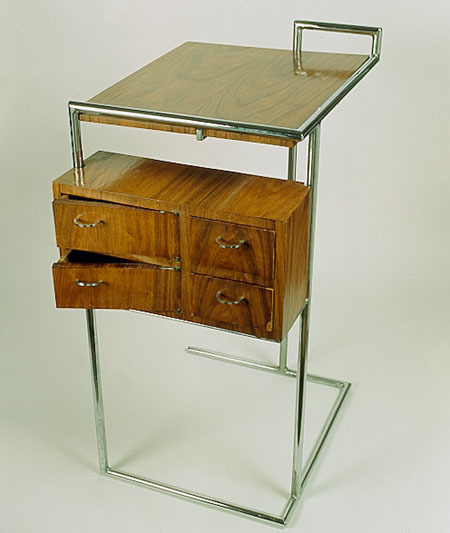 Her Transat “deck chair” (inspired by transatlantic liners), tubular steel bedside table and Bibendum (Latin for “now is the time to drink”) armchair – all designed for E-1027 – have become timeless items of furniture that are still manufactured. She produced a second furniture type for the house, which she termed “le style camping.” These items are flexible, light and portable, capable of assuming different configurations to accommodate a range of activities. Cabin-like furniture, conceived as a series of extrusions from the wall that break down the boundaries between architecture and furnishings, contained pillows, mosquito netting, books, a reading light and tea things. 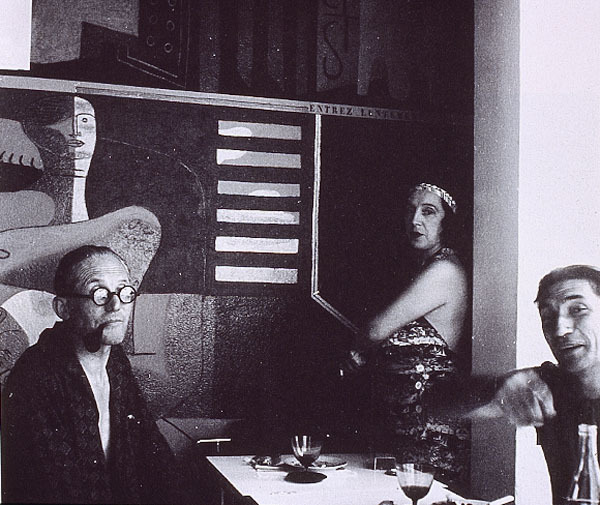 Gray admired Le Corbusier’s architecture, even if she remained unconvinced by his polemical assertions. Responding to his well-known maxim, she concluded: “A house is not a machine to live in. It is the shell of man, his extension, his release, his emanation.” She used Corbusian stencils to inscribe admonitions on the walls of E-1027 – “entrez lentement” (enter slowly) by the main entrance and “defence de rire” (no laughing) on the foyer partition. 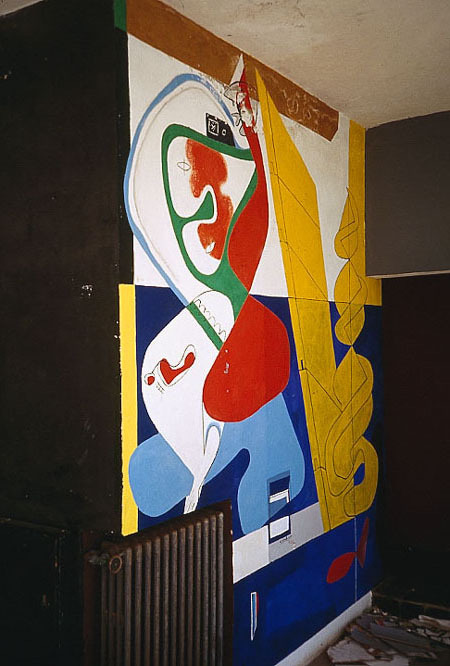 Gray forced Badovici to write to Le Corbusier threatening to remove the murals, “to re-establish the original spirit of the house by the sea.” The dispute rumbled on until Badovici’s death in 1956. 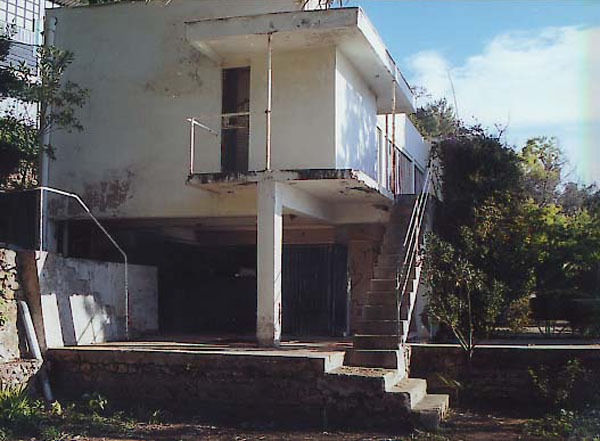 Then Le Corbusier built an elevated, two-storey hostel overlooking the villa. The site belonged to Thomas Rebutato, who in 1950 had ceded him the land on which he built a timber holiday cabin in 1952, his famous Cabanon. 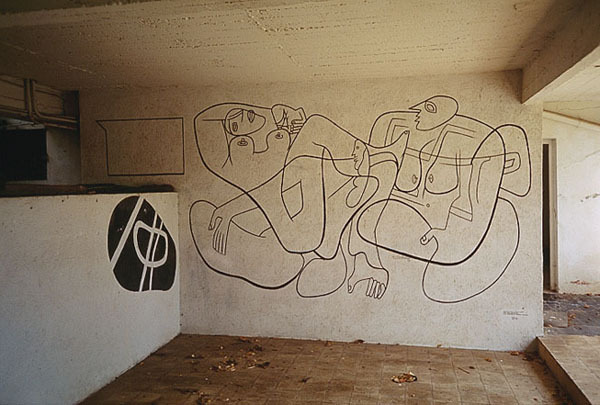 In 1960, fearful for the future of E-1027 and his murals, he persuaded Madame Marie-Louise Schelbert of Zurich to buy the villa. 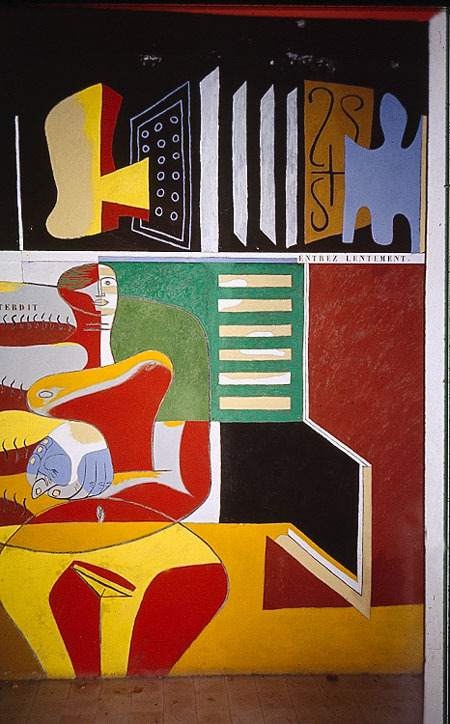 He took an active interest in preserving both the house and its contents, retaining Gray’s furnishings and restoring some of his paintings in 1961. 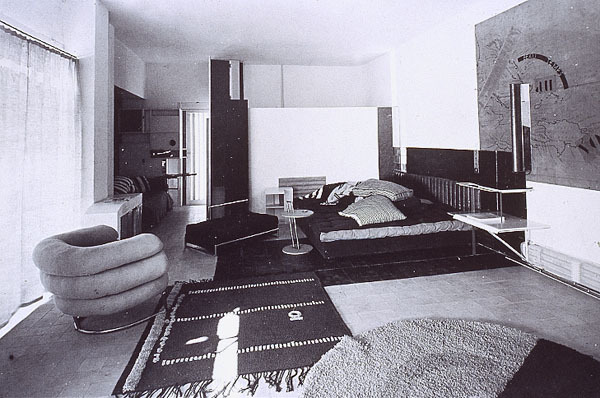 E-1027 deteriorated quickly – An international campaign was mounted by Hermann and Hans Hertzberger, among others, to draw attention to the villa’s condition. Paris-based Irish architect, Patrick Mellett, hounded the last government – the rainbow coalition – to acquire Gray’s icon of modernism “as a way of showing Europe that we were part of it.” They weren’t interested. In 1996 Kà¤gi was murdered at the house by his gardener. 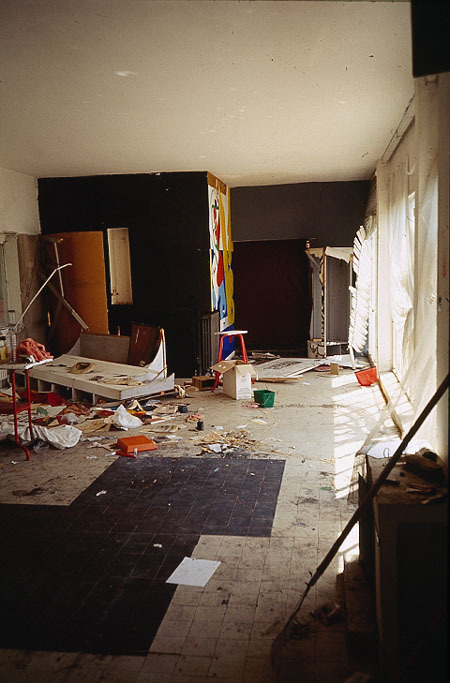 The empty villa was extensively vandalised by squatters in June 1998. 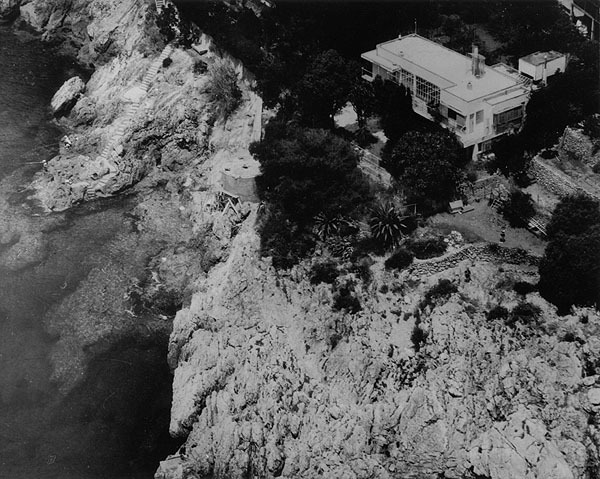 But on October 25, 1999, the city of Roquebrune Cap Martin and the French government – through a national agency, Conservatoire du Littoral – bought the villa and made it secure for the time being. It has been declared a French national monument and plans for its restoration are being prepared, under the direction of architect Renaud Barrès. Dr Michael Smurfit, Ireland’s Honorary Consul in Monaco, was the first to contribute to the villa’s restoration fund, pledging €40,000. The shortfall stands at €750,000. 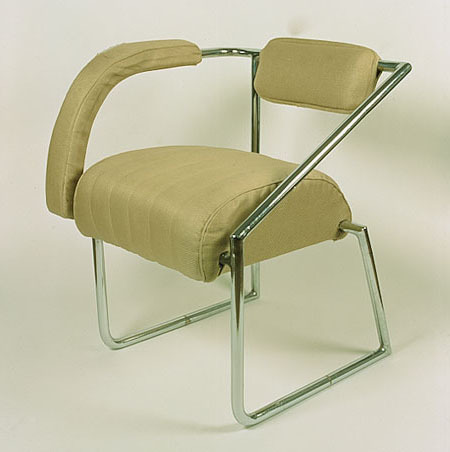 During her lifetime the land of her birth gave her little recognition except in an exhibition, Eileen Gray: Pioneer of Design. Originated by the RIBA Heinz Gallery, this was the exhibition that initiated the revival of her reputation. The Dublin showing took place at the Bank of Ireland in the summer of 1973 and the Royal Institute of the Architects of Ireland marked the occasion by awarding her honorary fellowship. With Gray’s stature once more in the ascendant, the government could do worse than ensure that this corner of a foreign field remains forever Ireland. The future of E-1027 is once more in doubt. 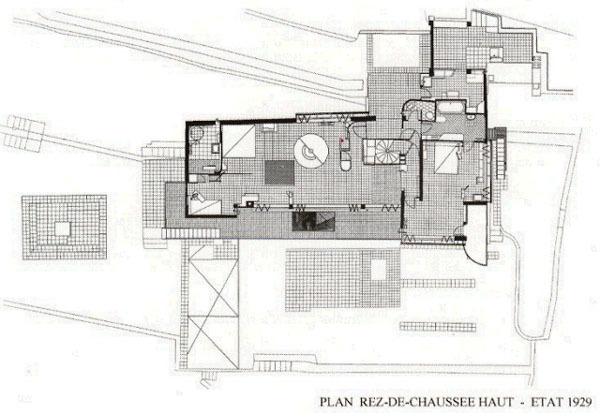 Having spent the best part of six years drawing up a “perfect” restoration plan for the house, its gardens and furnishings, architect and historian Renaud Barrès, Architect dplg-historian (who has collaborated on the project with Burkhardt Rukschcio since January 2003), voluntarily resigned from his position as “chargé de mission,” following an announcement by the Mayor of the commune of Roquebrune Cap Martin on October 28, 2004, of alternative plans for the restoration of E-1027, to be carried out by the Ministry for French Culture under the direction of the local chief architect for historical monuments.